Lake Powell is a reservoir on the Colorado River, straddling the border between Utah and Arizona (most of it, along with Rainbow Bridge, is in Utah). It is a major vacation spot that around two million people visit every year. It is the second largest man-made reservoir by maximum water capacity in the United States behind Lake Mead, storing 24,322,069 acre feet (3.0000830×1010 m3) of water when full. However, due to high water withdrawals for human and agricultural consumption, and because of subsequent droughts in the area, Lake Powell is currently larger than Lake Mead in terms of volume of water currently held, depth and surface area. 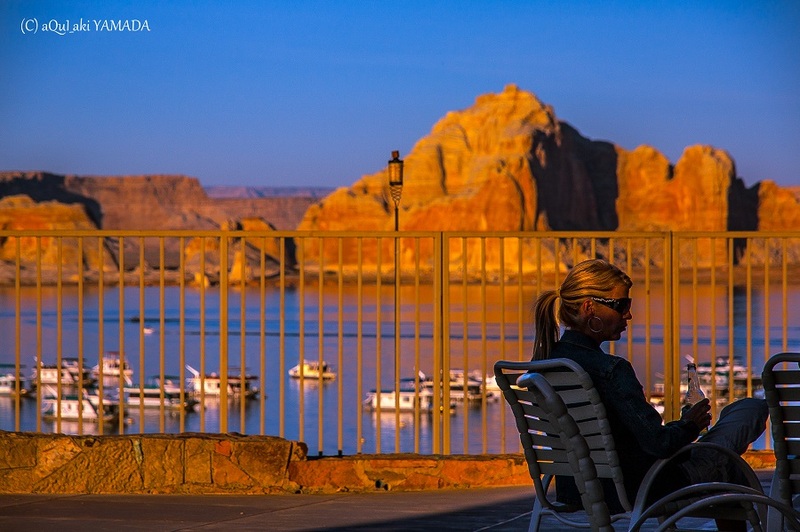 Lake Powell was created by the flooding of Glen Canyon by the Glen Canyon Dam, which also led to the creation of Glen Canyon National Recreation Area, a popular summer destination. The reservoir is named for explorer John Wesley Powell, a one-armed American Civil War veteran who explored the river via three wooden boats in 1869. In 1972, Glen Canyon National Recreation Area was established. It is public land managed by the National Park Service, and available to the public for recreational purposes. It lies in parts of Garfield, Kane, and San Juan counties in southern Utah, and Coconino County in northern Arizona. The northern limits of the lake extend at least as far as the Hite Crossing Bridge. A map centered at the confluence of the Escalante River 37°17′22″N 110°52′20″W with the Colorado River gives a good view of the extent of the lake. Lake Powell is a water storage facility for the Upper Basin states of the Colorado River Compact (Colorado, Utah, Wyoming, and New Mexico). The Compact specifies that the Upper Basin states are to provide a minimum annual flow of 7,500,000 acre feet (9.3 km3) to the Lower Basin states (Arizona, Nevada, and California). ARIZONA : Arizona Sunset Saguaro - Saguaro N.P.